Yeah, Rinda did it. She pushed the button early. 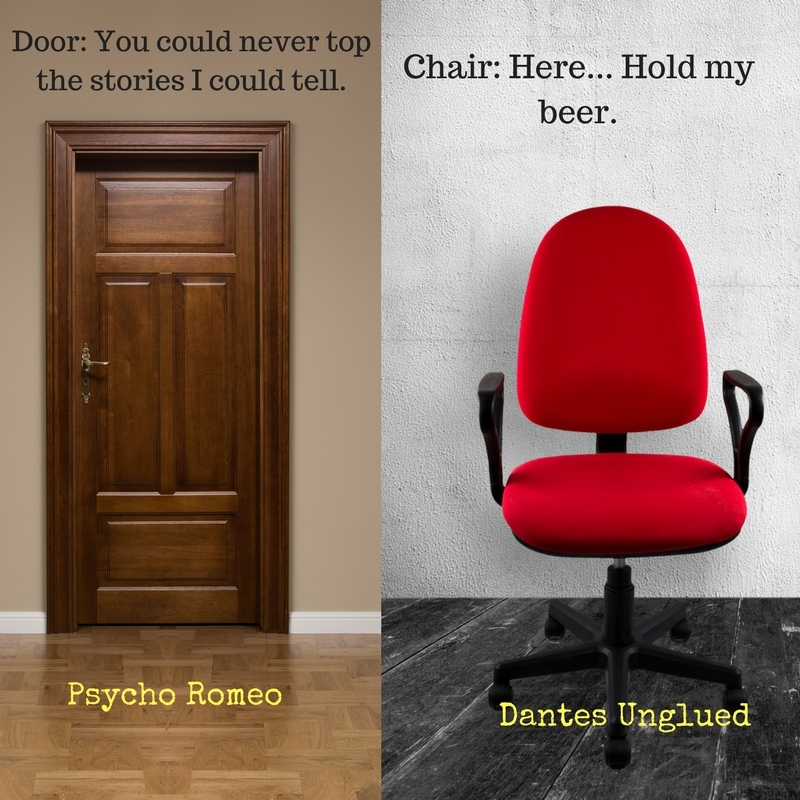 Dantès Unglued is now available on Amazon and in Amazon’s Kindle Unlimited program. I will be finishing the final tweaks on the print edition this weekend so that the print edition will be available at the beginning of next week. 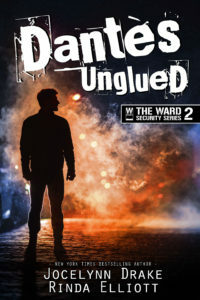 This is the second book within the Ward Security series. It is a stand-alone book so you don’t need to read the series in order. 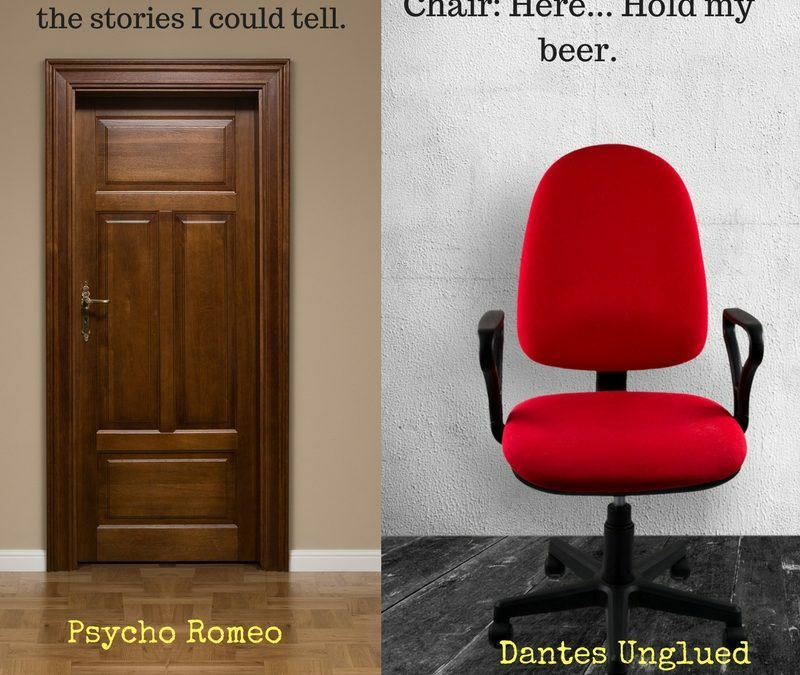 But now is a great time to read Psycho Romeo, book 1 of Ward Security, right now. Both are in Kindle Unlimited. Rinda and I had a lot of fun working on Dantès Unglued. In Psycho Romeo, there is a rather infamous scene against a door, and now Dantès Unglued has a rather interest scene involving an office chair. 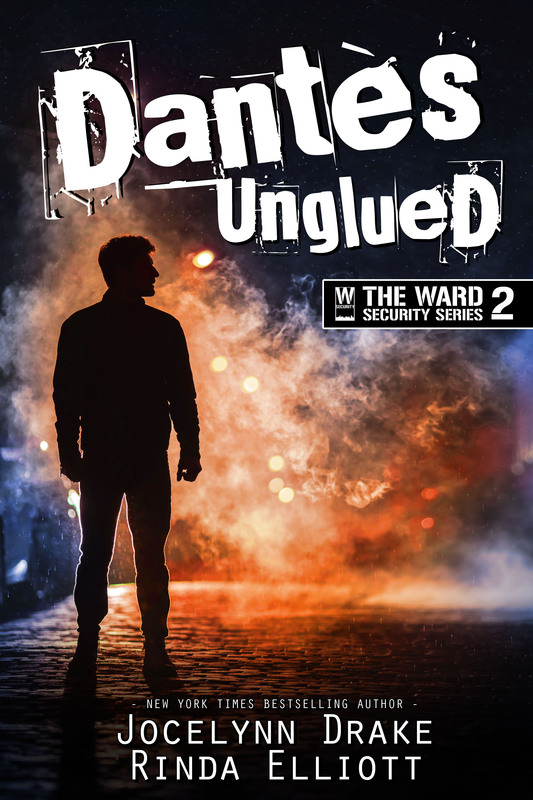 And we are now hard at work on the third book in the Ward Security series, Deadly Dorian. We don’t have a release date yet but we are aiming for early spring. We hope you enjoy Shane and Quinn’s story!